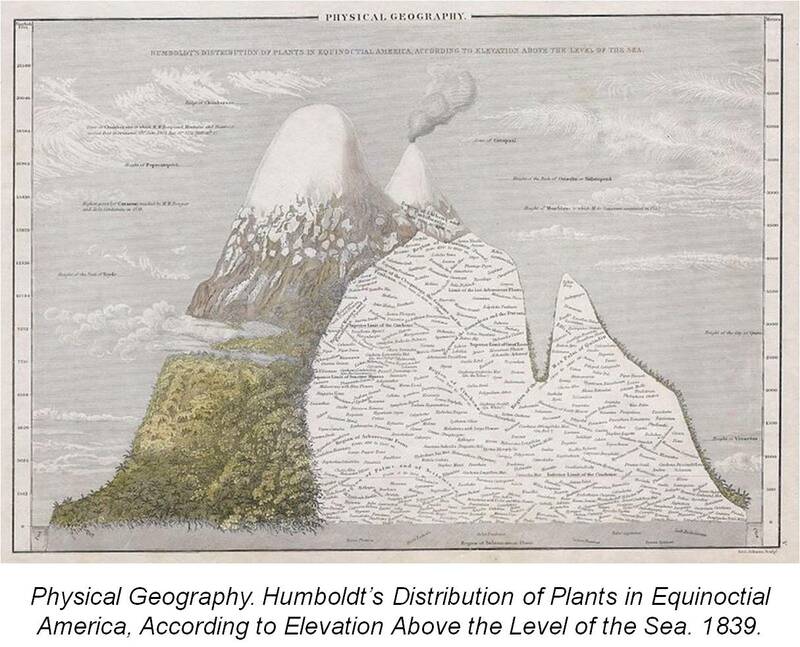 In American history, the study of medical geography reached its first peak in popularity in 1806. 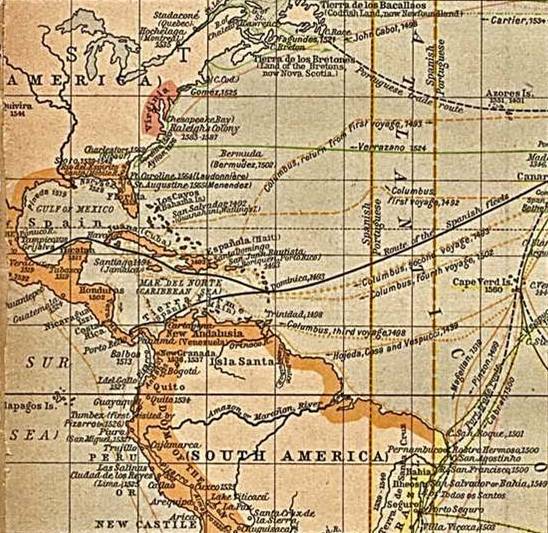 Geographic theories had been in existence since Aristotle, Pliny and Plato first produced their writings on civilization and natural history. 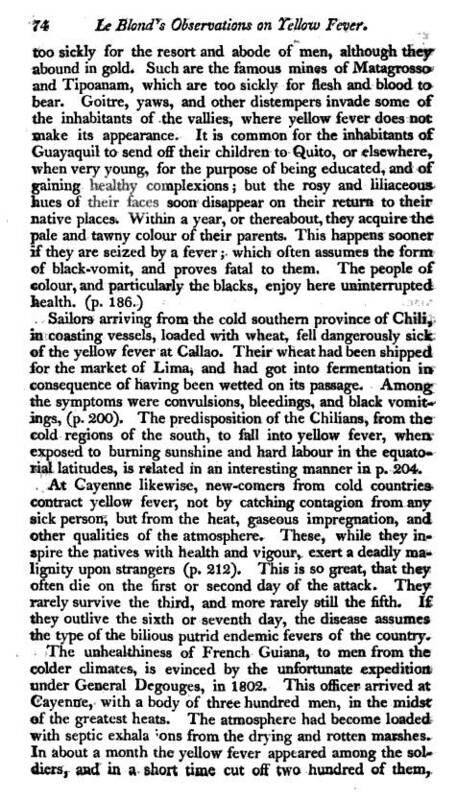 The belief that climate had a direct relationship to many or most diseases would not become popular over any of the other theories for disease until global navigation had been perfected, allowing the first colonies in the other hemisphere to become heavily populated and begin displaying the influences of migration on the people’s health. 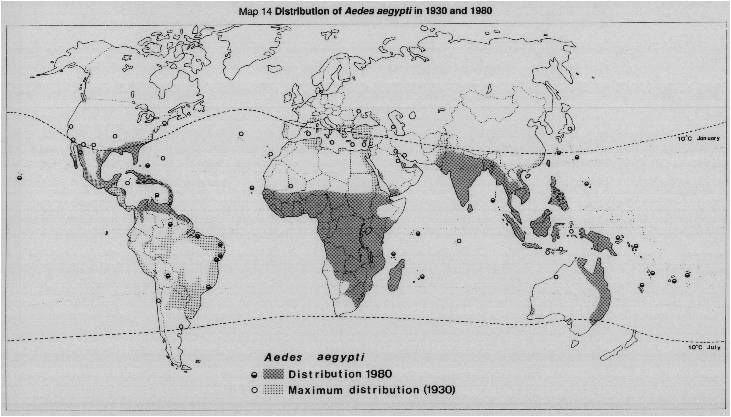 No longer in just an exploratory stage, repeated travels to the New World enabled more and more observations to be made and written about detailing the health of these newly settled regions. 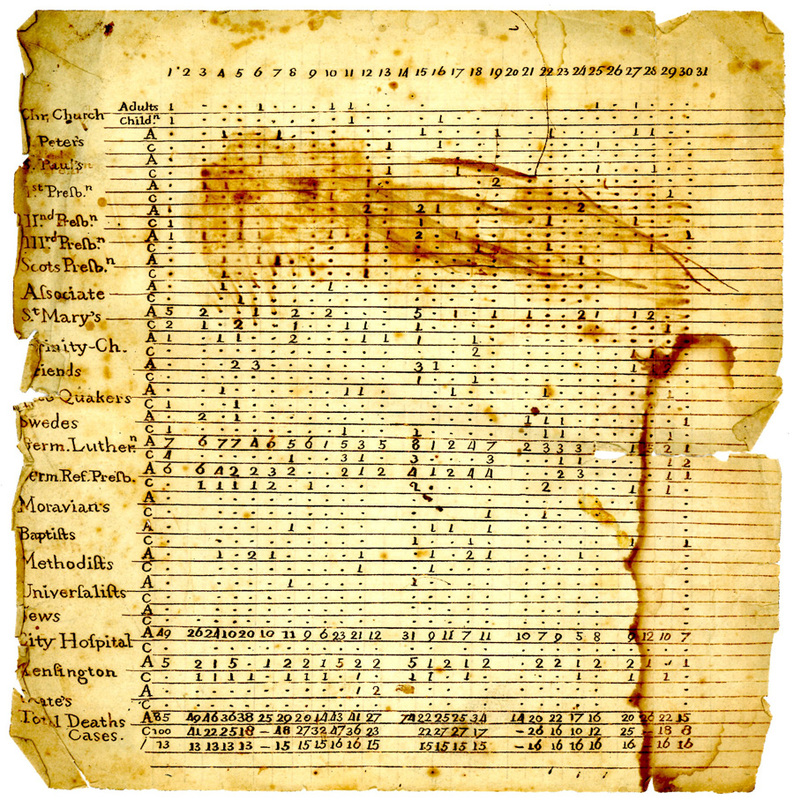 The methods for defining and explaining health within these regions thus became more standardized and by the end of the 18th century became a common part of most reviews published about the former New World. This documentation began with very basic overalls and many misstated assumptions about disease behavior and the healthiness or lack thereof . 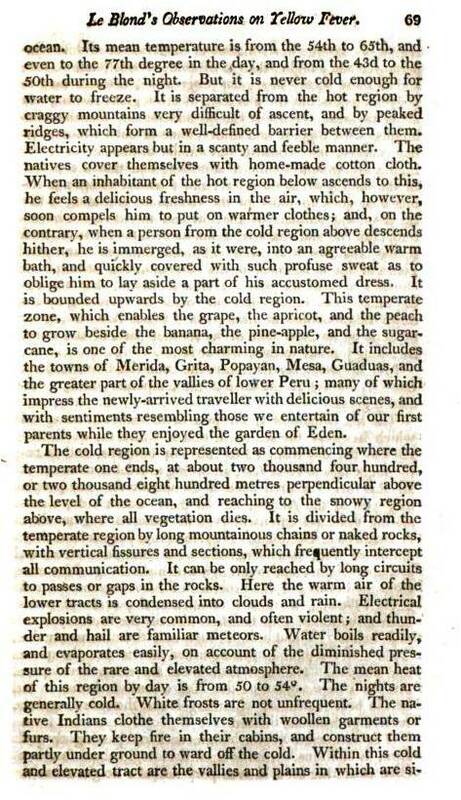 But by the end of the 17th century this impression of the Americas developed into observations that could be explained based on scientific theories relating adaptation and temperament to the ability of a family or culture to survive within these new settings. 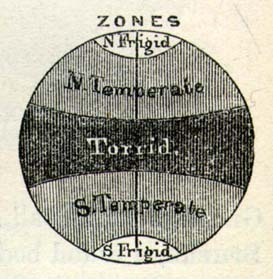 Such observations added to the ancient notion that the world consisted of three parts–the inhabitable temperate zones and the two uninhabitable tropical and frigid zones. These important geographic features were used to explain the new discoveries about disease and health. 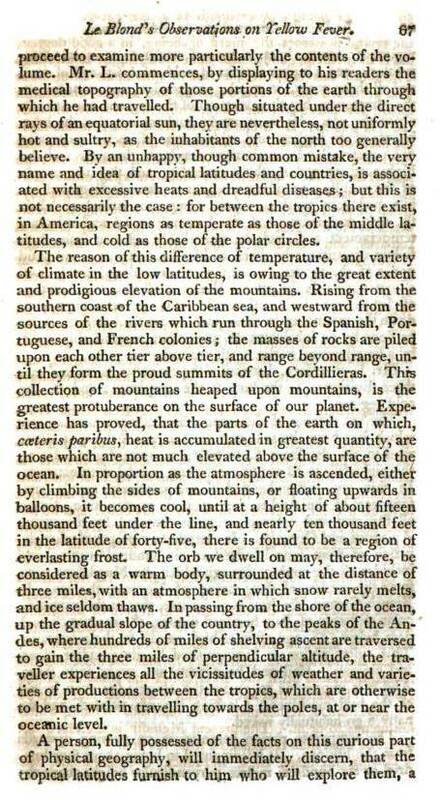 If one was to move to the northern continent, the southern continent, or the equatorial tropical portions of the Americas, this interpretation of disease and health could be used to predict your personal fate, and to determine whether or not diseases endemic or epidemic to given regions could impact your life. It was a popular belief that many regions could improve someone’s health. 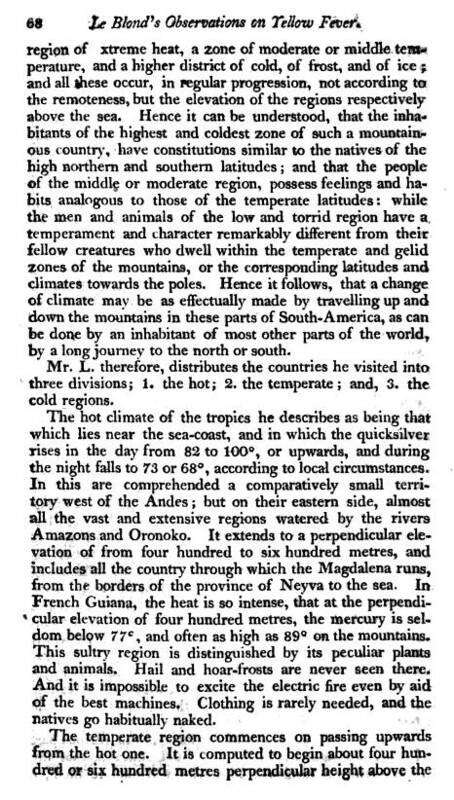 For such reasons, the Spanish selected parts of the middle and southern American countries to lay claim to, the English the shoreline communities between specific latitudes, the Swedes those regions where fjords naturally enveloped the local topography and waterways, and the Dutch the lowlands at just the right latitude and within the right topographic environment. At a smaller scale, these same attributes about a possible community setting helped to determine where important buildings might be raised. Close to the swamp, in the field exposed to northerly winds, adjacent to major waterways, atop a dry and gravelly hill, at the edge of an evergreen forest, these were all considerations that were made when the first homes were built and the first government buildings laid. 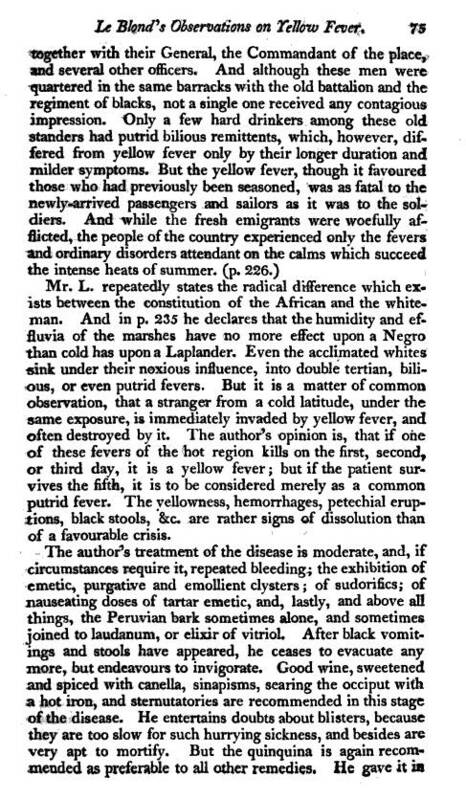 Yellow Fever is the first epidemic disease pattern to be documented which had both global and zonal characteristics used to explain its migration behavior and its tendency to form diseases nests or niduses. 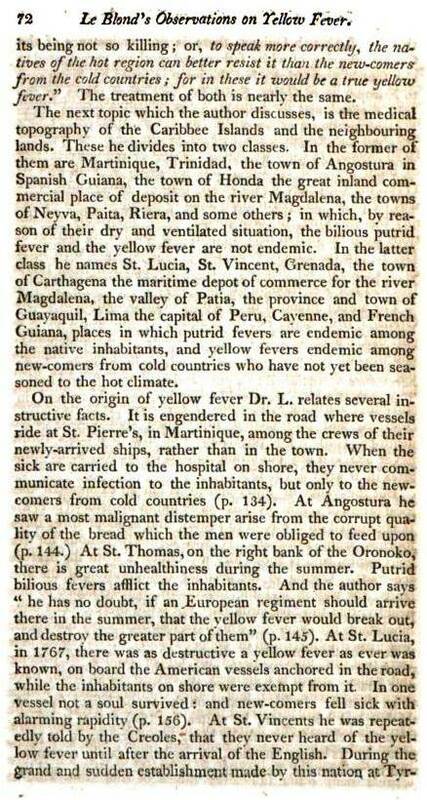 This disease penetrated communities in both hemispheres, and was directly associated with specific coastline oceanic topographic, climatically-defined port regions located between specific latitudes and temperature-defined settings. Jean Baptiste Leblond is well aware of this spatial association of disease and the environment due to the numerous travels he engaged in over the decades. 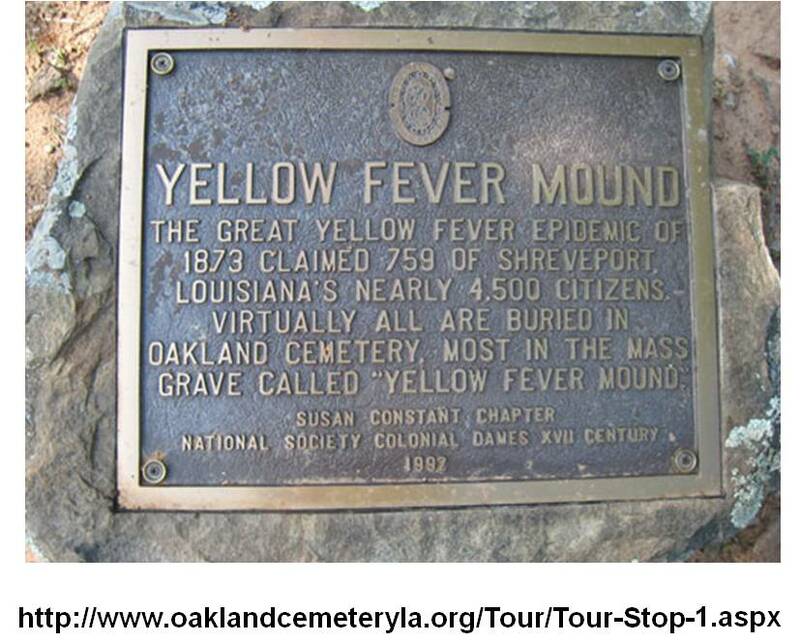 A descendant of a highly respected family linked to the design and development of Paris, and the establishment of the immense Garden of Paris , he had the opportunities needed to observe and study yellow fever behavior in relation to shipping routes and ports. This book summarizes his findings during these years. Due to the French Revolution and the subsequent migration of French Scholar to the United States, the philosophy provided became the main impetus for the development of a medical geographic perspective on disease in the New York setting by the beginning of the 19th century. The primary initiator of this new way of observing and studying disease in the United States was Samuel Mitchell, a naturalist and physician with an interest in fossils, geology, and any other natural history feature possibly related to disease patterns. 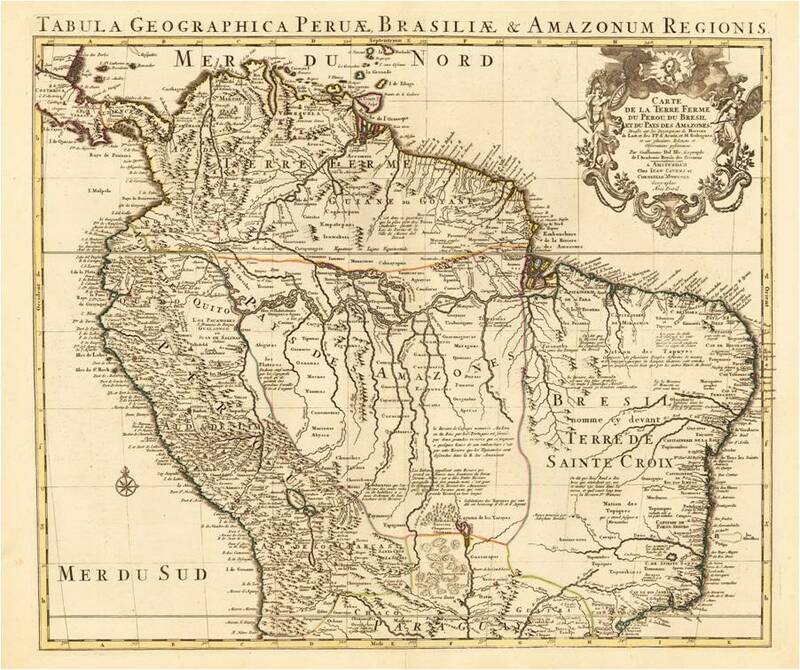 Due to his experiences traveling, Leblond was able to provide information on the portion of Brazil in and around the “Amazon or Morehan” River Basin. The latitude line 15 degrees to the north of this is close to the name Honduras; the 15 degrees south latitude line is close to Seguro. The United States is located well north of the 15 degree north edge of Leblond’s area of investigation, yet this country has the features needed to make his findings applicable to this region’s medical geography. 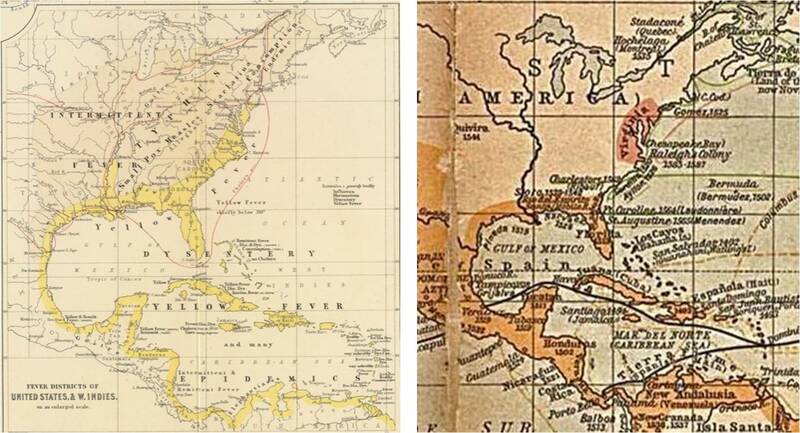 The above map is actually an instructional map on the colonial history of North America produced around 1900. 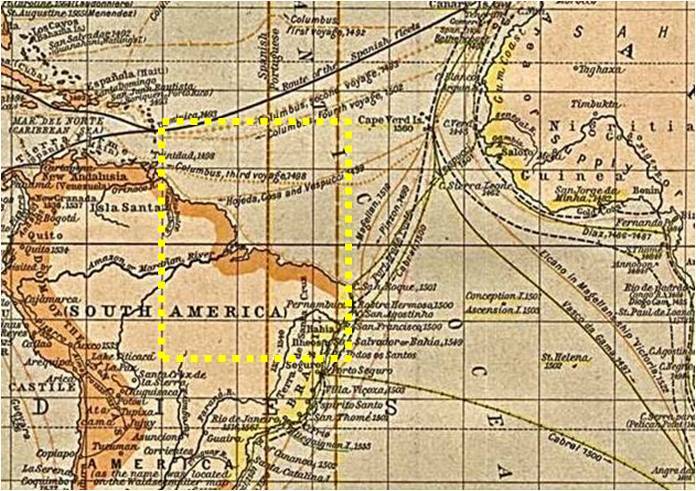 The shaded shore line regions approximate but overextend the areas prone to yellow fever as defined by medical cartographer Alexander Keith Johnston in 1862 (which follows). Paris, the capital city of France mentioned in Leblond’s article, is 48° 51′ N, 2° 21′ E. This places the longitudinal boundaries at 37 to 65 degrees east in current metrics. Latitude places it in the temperate zone. 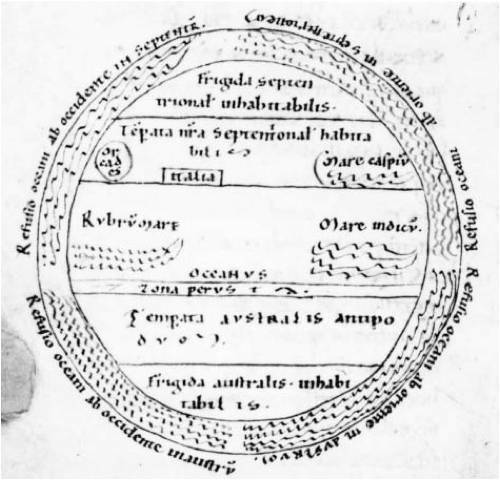 Tabula Geographica Peruae, Brasiliae & Amazonum Regionis. Carte de la Terre Ferme Du Perou, Du Bresil et du Pays Des Amazones. Dressee sur les Descriptions de Herrera de Laet, et des PP. d’Acuna, et M. Rodriguez, et sur plusiers Relations et Oberservations posterieures Par Guillaume Del’ Isle, Geographe de l’ Academie Royale des Sciences. Amsterdam, Covens, I. & Mortier, C. 1755. 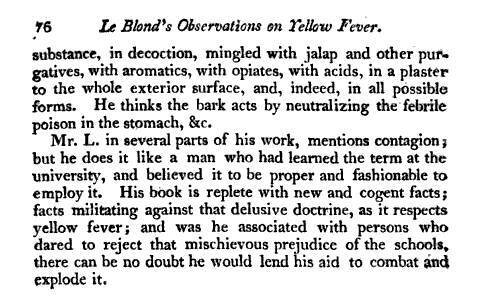 French physician, naturalist, and explorer. Born near Autun, the son and grandson of the gardener of the Chateau de Toulongeon, and the youngest of nine children, Jean-Baptiste Leblond left for Martinique in 1766, a few days short of his nineteenth birthday, in search of fortune and adventure. He received a medical apprenticeship from a colonial surgeon he met on the voyage out, and later from a Dr Johnston on the island of Saint Vincent. 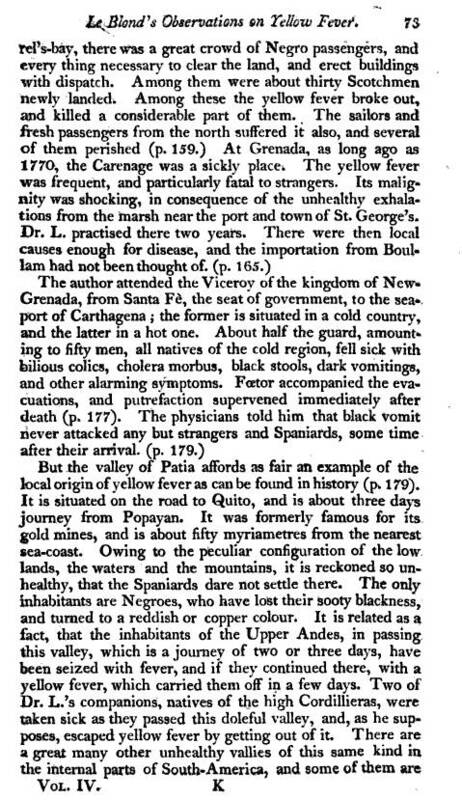 After sailing around the Grenadines, he practiced medicine in Grenada (1770-1773), where he introduced inoculation, and then purchased a small property in Trinidad (1774-1775), which enabled him, as a “resident” of a Spanish colony, to travel in Latin America without impediment. 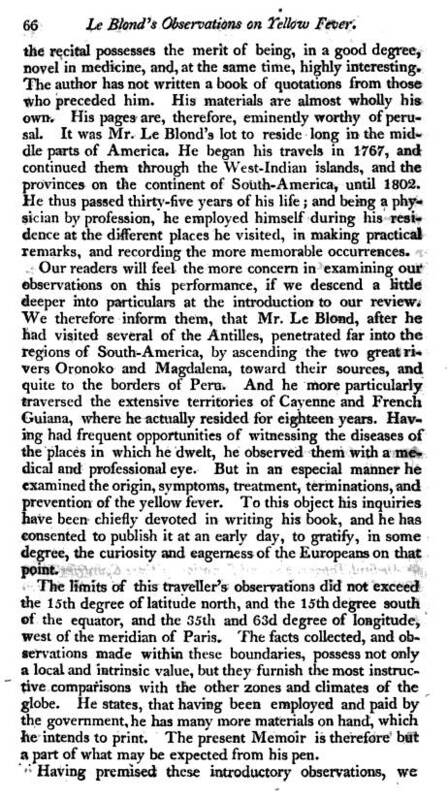 Between 1776 and 1784, following in the steps of Joseph de Jussieu and de La Condamine, he explored as a peripatetic physician in Venezuela, Colombia, Ecuador, and Peru. His travels ended in French Guiana, where he remained for eight months before deciding to return to France. Included in his return baggage was 250 pounds of platinum from Colombia, a precious metal only recently discovered by the Spanish, which he offered to King Louis XVI and to a few illustrious French scientists. He made presentations to the Académie des Sciences, the Société royale de médicine, and the Société d’agriculture on the possibility of discovering Cinchona in French Guiana, which would break the Spanish monopoly on the production of quinine. His proposal received support from the minister of foreign affairs, Charles Gravier, the comte de Vergennes, who by an stroke of luck, for Leblond, had become the new owner of the Chateau de Toulongeon, and through him the minister of the navy, the controller general of finances, and many others, as a result of which Leblond was named royal physician-naturalist and entrusted with an official mission to search for Cinchona in French Guiana. Accompanied by his nephew, Hippolyte Nectoux, he arrived in Cayenne in July 1787. From there they travelled up the Mana River into previously unexplored territory, producing the first geological map of the region. After Nectoux left for Saint Domingue to become director of the botanical garden in Port-au-Prince, Leblond continued his search along the banks of the Oyapock River between July and November 1789, oblivious, until his return to Cayenne, of the revolution then occurring in France. After being relieved of his Cinchona mission by the revolutionary government, and having settled into the life of a plantation owner, Leblond began a stormy career in colonial politics, which abruptly ended with his being expulsed from the colony for his controversial views on slavery and other matters. After his exoneration by the National Assembly, Leblond submitted a report on the colony to the Société d’agriculture with advice on the best methods for civilizing the indigenous population, and a proposal to the government for colonizing French Guiana by offering land to paupers from the metropolis. Even though he returned to France with numerous botanical specimens, later described by Claude Richard in the first volume of Actes de la Société d’histoire naturelle de Paris, Leblond was snubbed this time by the Académies des Sciences and the Jardin des Plantes, possibly because of his advocacy of slavery. In 1793, he returned to Cayenne with the title of public prosecutor and was president and secretary of the colonial assembly during the application of the Convention’s decree abolishing slavery, a decree that was officially revoked under Napoleon in 1802. As colonial botanist, he also oversaw the cultivation of tropical plants and the introduction of spice trees from the Mascarenes at the national plantation in Roura. In January 1802, he embarked as naturalist on the frigate La Mouette, sent to Para by Victor Hugues to explore the disputed border with Brazil. 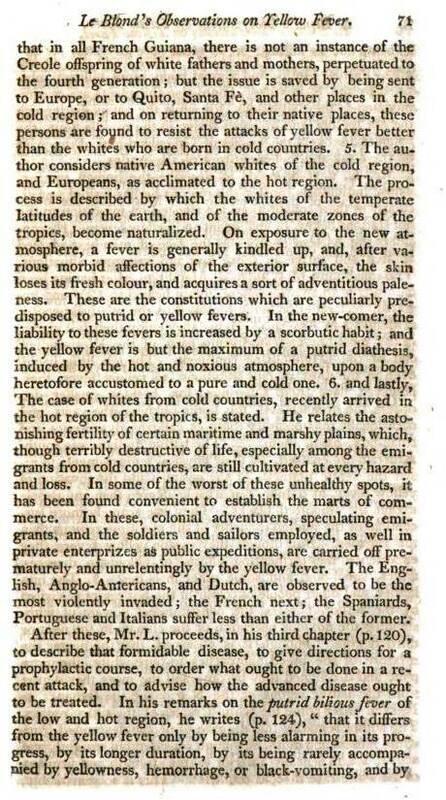 After the failure of this expedition, he decided to return again to France to publish his travels and promote his plans for developing the colony, bringing with him 27 cases of natural history specimens, including plants, and his eldest son, Jean-Baptiste, then still a baby, whom he had fathered by his slave Adelaide. 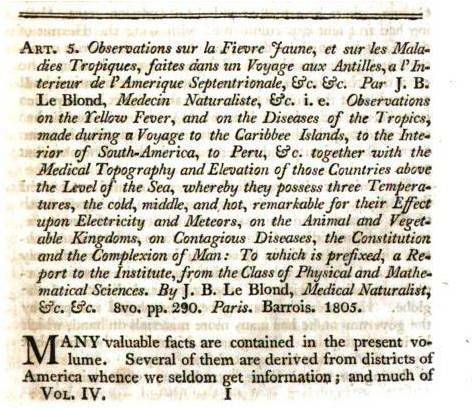 He applied unsuccessfully for the chair left vacant by Parmentier at the Institut de France, and managed to publish only one of the projected volumes of his Voyage aux Antilles et en Amérique du Sud in 1813, followed by Description abrégée de la Guyane française in 1814. The Napoleonic wars would prevent him from returning to French Guiana and deprive him of a good part of his revenue. He died at his retreat near the Chateau de Mazille in Luzy at the age of 68. His son, educated in France, would re-emigrate to the Antilles as an adult and become secretary to the president of the new republic of Haiti and editor of the journal L’Agriculture Haïtien.